We all have tales to tell. The old photos help us remember where to begin. Here’s my grandmother, Doris Kerscher Mueller, at age 4, with her parents, uncle and aunt in Munich in 1938. 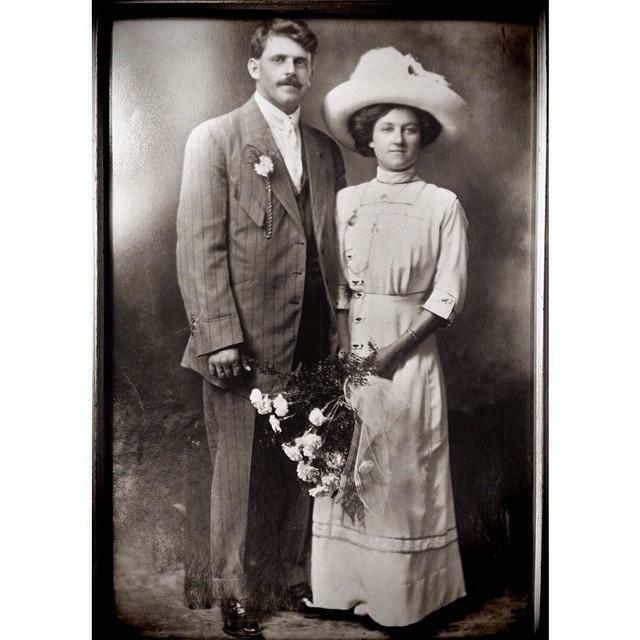 Her parents, Isidor and Dora Kerscher (next to Doris), were originally from small towns in Bavaria, Germany. 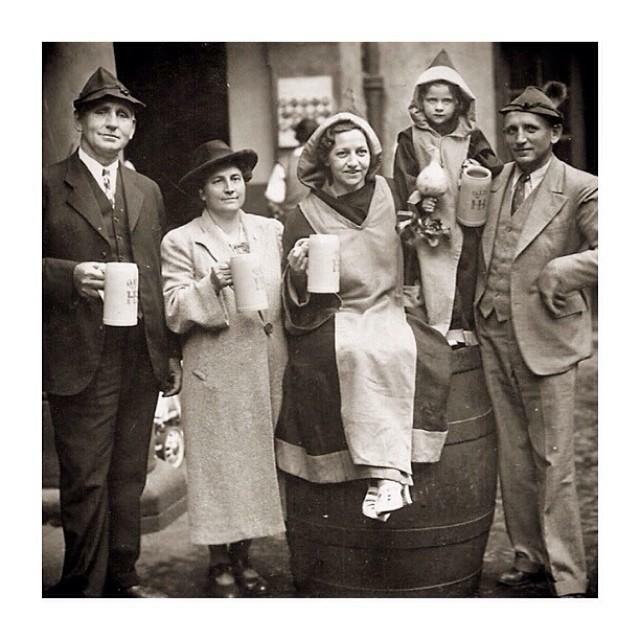 They immigrated to the US when they were only 18 years old, and settled in Milwaukee, eventually purchasing a tavern, hall and bowling alley in New Holstein, WI, during Prohibition. Yesterday was my grandmother Doris’ 80th birthday. Check out that fierce hood! This is probably my favorite photo of my father. The year was 1945. His name is Jack. He was only 26 years old when this photo was taken, and had recently returned from serving in World War II. 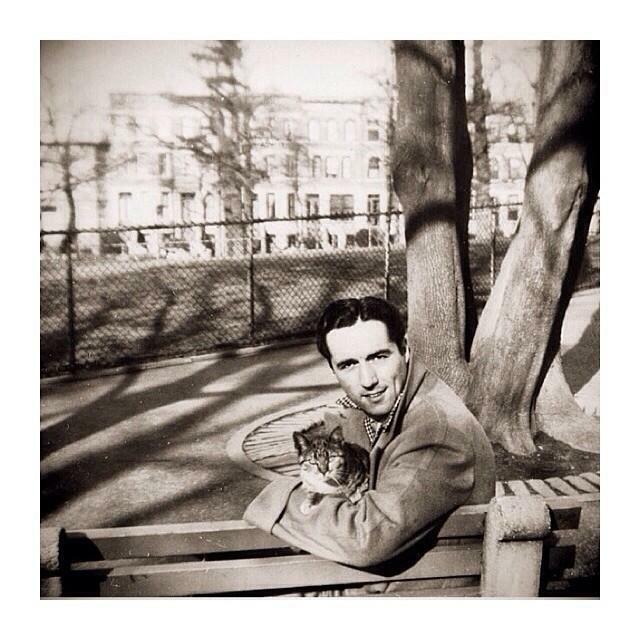 Here he is, as a young veteran, sitting in Central Park on a sunny day. The photo was probably taken by his sister who was a year older and his only sibling. And that was probably her cat. Photos are pieces of our past that remind us what matters most in the present. This is my grandmother, Martha. I love this photo of her, happy and carefree. Growing up, I learned lots of her loves. Those included roller skating and gin rummy. She would always give my brother and me circus peanuts candy and hotdogs when we visited her. And of course, she taught me gin rummy! For the last 5 years of her life, she was in a nursing home and I was in my late teens and early twenties. I was very “busy” with all I thought was important and didn’t visit her as much as I should have. Once she passed away, I was struck by how “busy” I made myself that often I missed the magnitude of blessings in front of me. You are a branch on an ancestral tree of life. Mine is rooted by this beautiful woman, pictured here. The year was 1925; she was 17 years old. This was the year she married John Wesley Hall. She gave birth to a child, who in turn gave others life. She had 12 children who forged foundations for their own families. These are the tales of our ancestors, the family stories shared, and the lives we live. 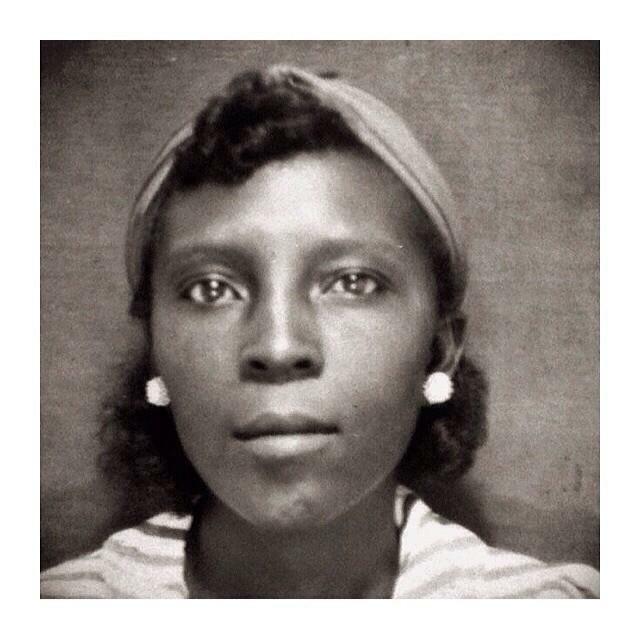 This is Juliet Caldwell Hall, my caring, elegant, and phenomenal great-grandmother. My family matriarch. She is my black history. Meet my great-grandparents, Franco Scotti and Rosa Porcellana Scotti, two of thousands of Italian immigrants who bravely crossed tempest-tossed seas to build new lives in the US. We were able to trace them because Rosa, “Granny Rose,” had polio and was labeled “lame” by the immigration officer who catalogued her as she disembarked in New York, on Ellis Island. Pictures help us remember to remember. 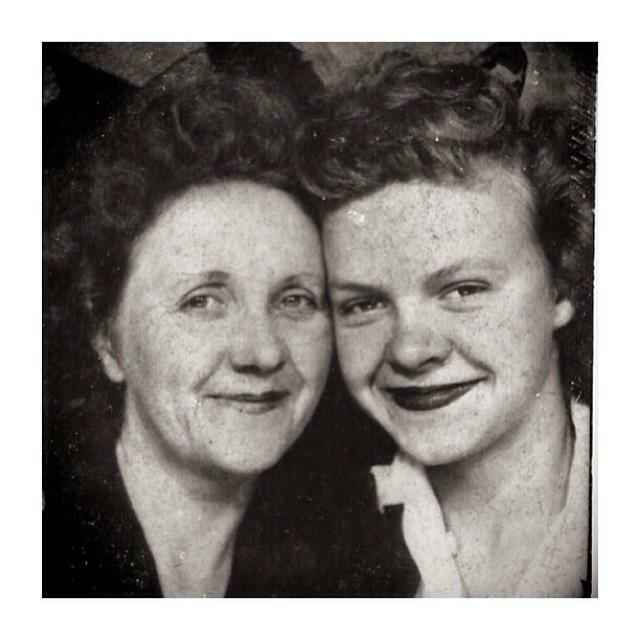 My grandma Beth and her mother, Violet, my namesake. As I’ve seen and heard of the hardships and triumphs they experienced, I know my grandmothers stayed strong to their family and their faith. They are extraordinary women and I always have a piece of them with me, especially as I learn more about their lives. Listen to the photos; they tell us stories. 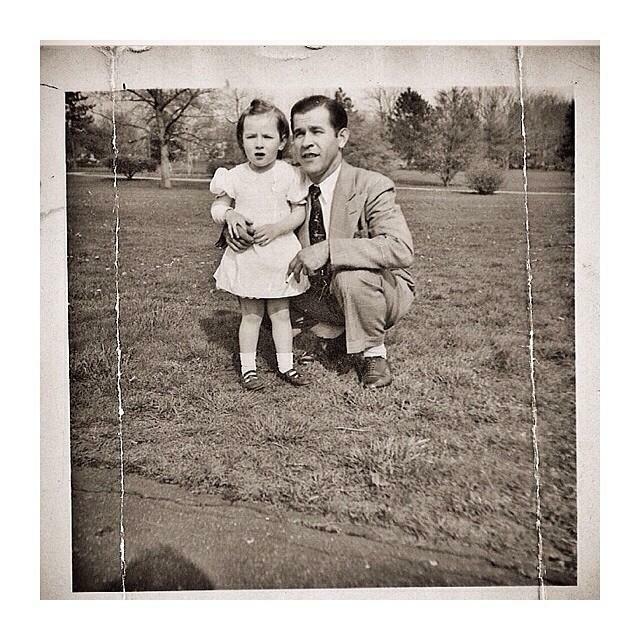 It’s been two years since my Dad, Max, died. Time flies. 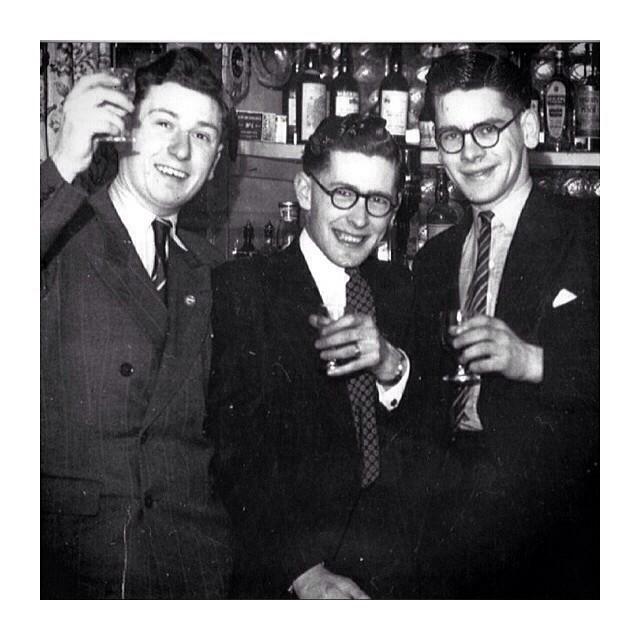 That’s him in the middle, the night before he set sail from Guernsey – an island in the English Channel off the coast of Normandy – to start a new life in Australia. Sometimes, it’s hard to remember that your parents were once young and on the cusp of adventure. February, 1944 “I only wish I was there in person darling, let’s hope it won’t be long. I am always thinking of you. 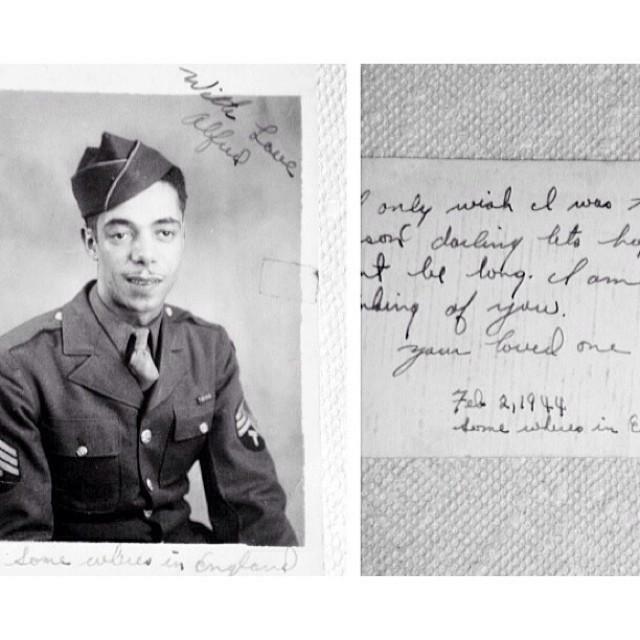 Your loved one, Alfred.” This is a photo and accompanying letter from my great grandfather, Alfred Texeira, to Rose Lopes, my great grandmother, written while Alfred was serving in WWII in England. 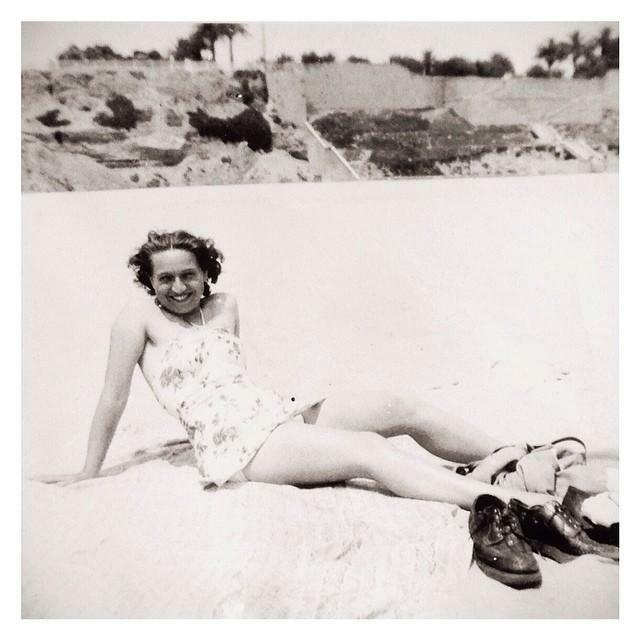 Sometimes an old family photo just transports us, throws us back to a time that was simple and sweet. 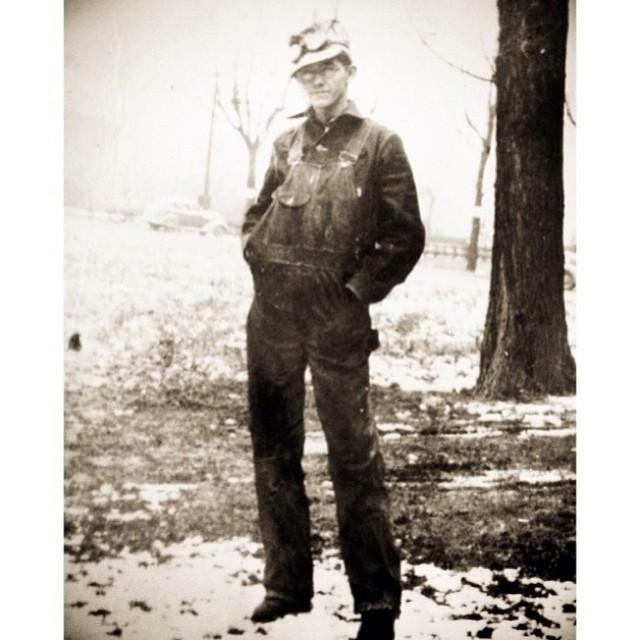 My grandad, Jim, in his railroad gear. He worked for the Illinois Central and the L & N Railroad. In 1850 U.S. President Millard Fillmore signed a land grant for the construction of the Illinois Central railroad, making it the first land-grant railroad in the United States. My grandad was married to my grandmother for 67 years. I was lucky enough to know him for 45 years. We always watched cartoons together on Saturday mornings. He always loved the Road Runner and Tom and Jerry. He called me little monster, but I knew I had his heart always.